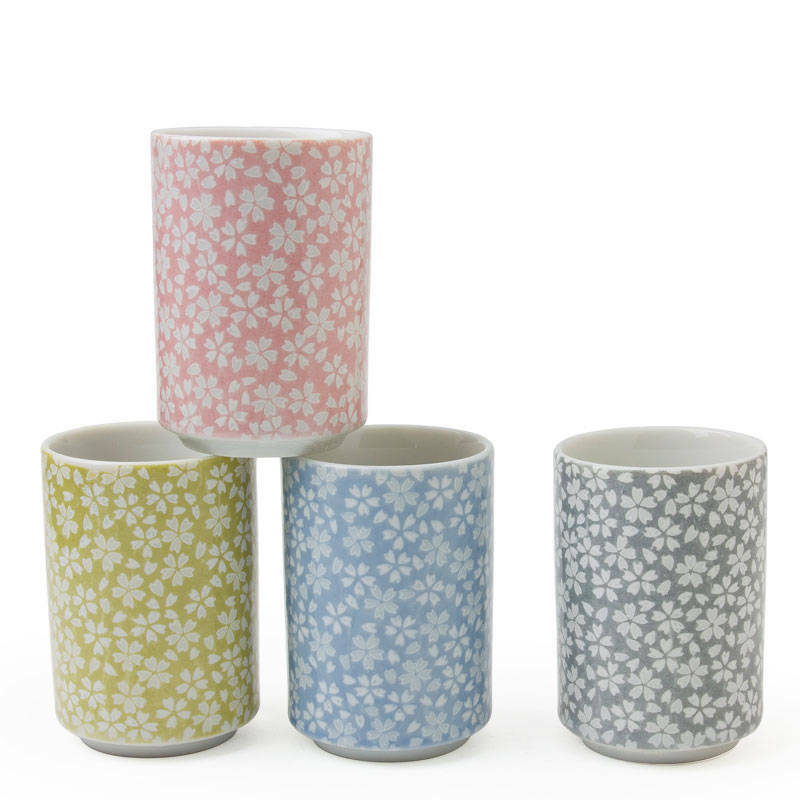 Enjoy spring year round with these beautiful Japanese teacups featuring lovely sakura flowers in full bloom. Set of four assorted colors. 2.25" diameter x 3.25"h; 5 oz. capacity.